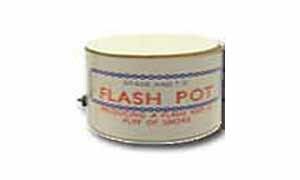 Regular stage flash pot creates a brilliant flash of light of a particular colour followed by a mushroom cloud of white smoke. 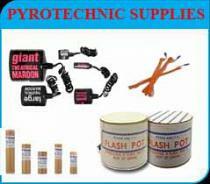 Flashpots have huge range uses from magicians effects, bands appearing on stage, pantomines to explosions and battle effects. 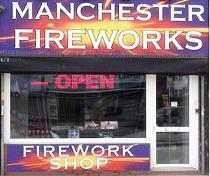 Unless permission has been granted and full test carried out "sparkling flashpots" are to be used outdoors only.